Aaaaaand... 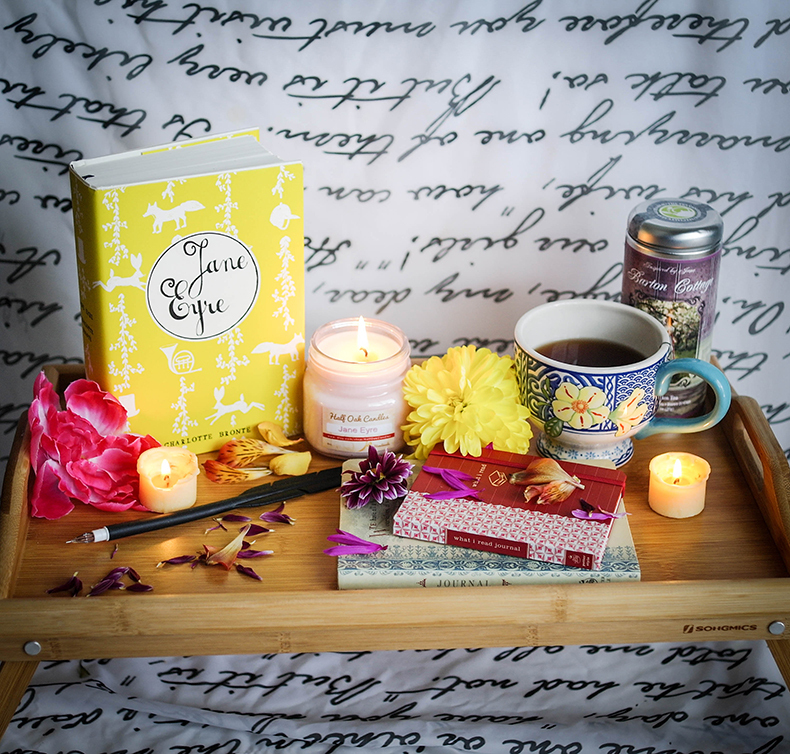 I am BACK with yet another amazing bookish candles store I want to introduce you to today! 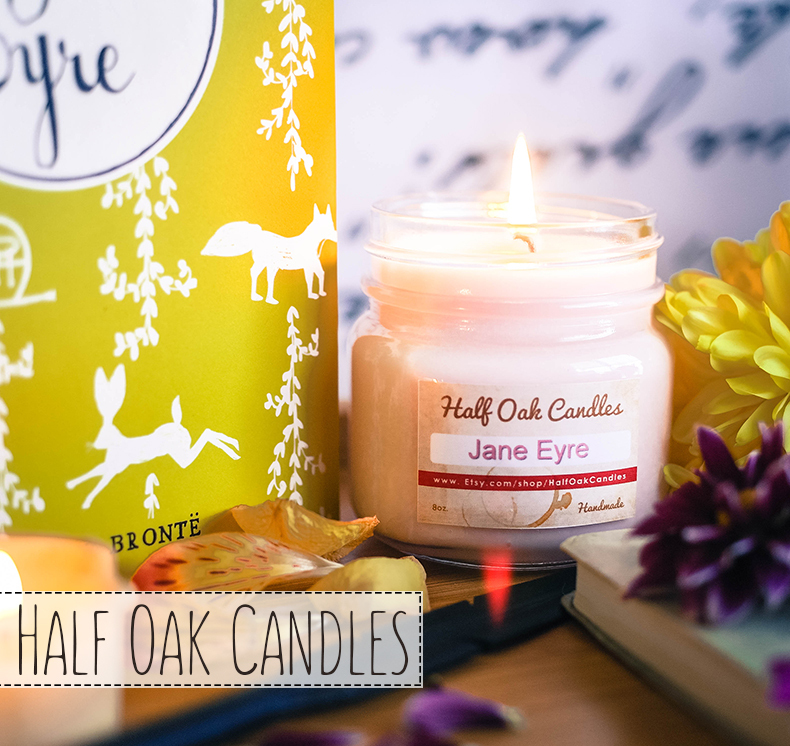 Please welcome the awesometastic Half Oak Candles! I'm sure you're well aware by now that I have a serious bookish candle problem obsession. Yup, I won't even try to deny that. 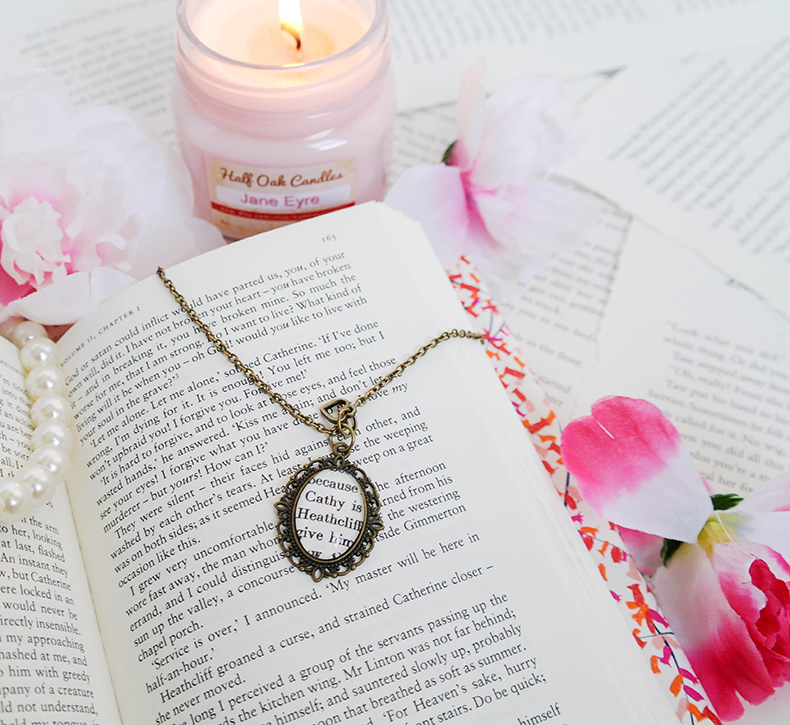 I love candles, and when they are book or favorite movie inspired, it just fills my heart with joy! I adore Half Oak Candles and their selection of products. They have some fantastic ones! 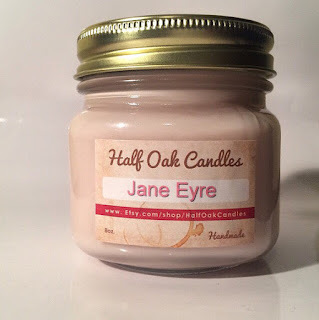 Etsy store for Half Oaks Candles here! 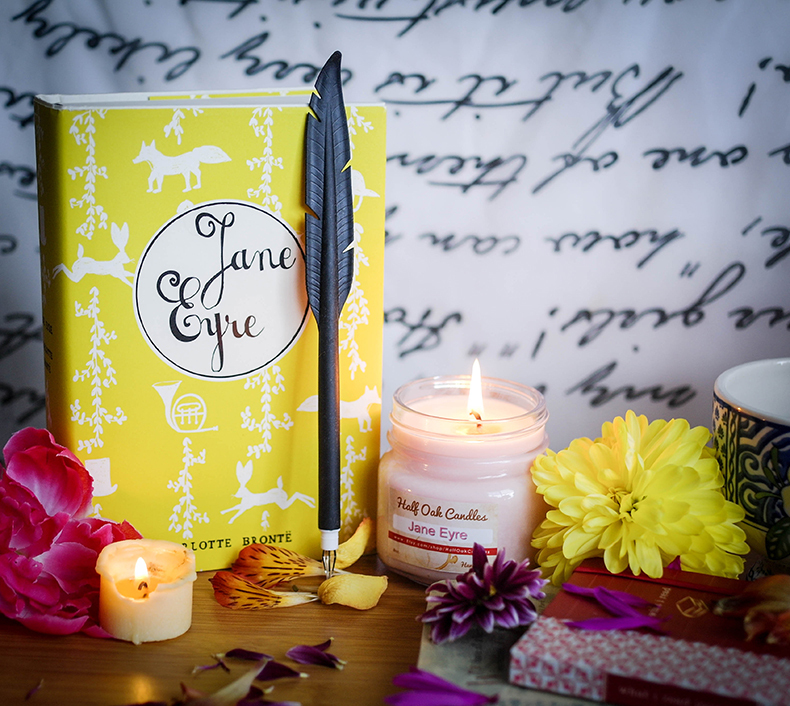 I have to say, I love all of my bookish candles, I really do - the ones in big glass jars, the ones in medium glass jars that are more modern looking, and the tiny sample ones I have.. I adore all of them. I do not discriminate any candles :) BUT, with all that in mind, I am very fond of this candle from Half Oak Candles mainly because of the adorable jar it comes in. It's just so unique! I haven't seen any other companies sending candles in jars like this before and it looks so homey and cute, I love it! The scent of the candle stays true to its name and inspiration. 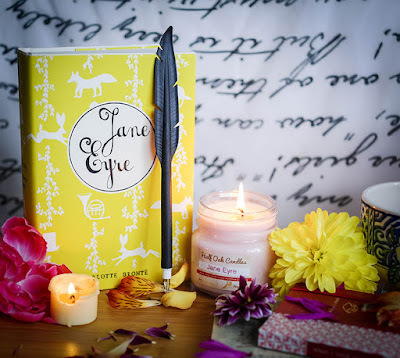 It's very similar to the Pemberley candle I have from Simply Sassy Things as well as the Jane Austen Library candle I got from GoneReading.com It's, of course, the scent of English garden. And it's my most favorite scent in the world. It's so spring-like and fresh, it makes me super happy. When I'm feeling down, or just want to read surrounded by a lovely and garden-y smell, I reach for this candle. I feel like I also have to mention the beautiful pale pink color, because I love taking photos with it. 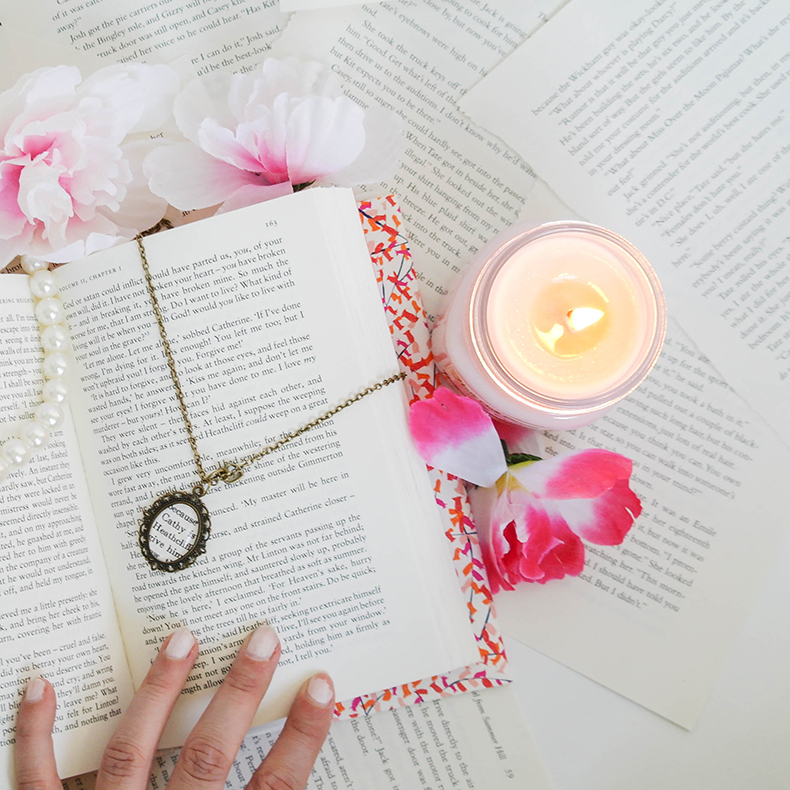 It's so pretty and feminine, and I love pairing it up with other props for my bookstagram photos. Also, it looks very pretty on my bookshelf! Half Oak candles seem to be rather highly scented, so if that's your thing, I would definitely recommend getting some. There are some great bundle deals in the Half Oak Etsy store and if you buy $50 worth of candles, shipping is free! Half Oak Candles was founded in 2015 by Samantha Lorene McKee. She was inspired to make novelty candles because of her love for books and all things nerdy and geek. She also wanted to make quality candles with an amazing scent throw. Each candle is handmade and poured, Samantha also create the labels herself. She is dedicated to bringing highly scented and delicious smelling candles to customers. There are Soy and Paraffin wax options. Lead-wicks have been banned in the U.S. since 2003. So Samantha, like any other U.S. shop should, use cotton wicks. Hald Oak Candles are available in cute 8oz glass jars, 2-and-3-count bundles and 4-count sample packs. To learn more, visit Half Oak Candles on Etsy!